Friends. There would have been no way for me to navigate my road without them. Healing is a process, at times more intense than others, and each step of the way I've been surrounded by great people. They all have their own lives, their own struggles, but, for the most part, when I've needed them, they've been there, offering an ear, some sage advice or a supportive shoulder to lean on. Putting together "Kisses From Dolce" was more than creative process, it was an opportunity to look at some old beliefs and challenge them, creating confidence where there once was none. That process took time and, because of that, the book took longer than it otherwise might have. In the end, I did the book, as Sinatra used to sing, my way. My friends' support allowed me self-acceptance, helped give me that confidence. Today, navigating the business of getting the book out there to do its work, is no different. I still need sage advice, not only from friends, but from folks in-the-know about such efforts. Carrie, who knows the social work world; Lynn, who knows public relations, and David, with years in business and an MBA, my business guru. Professionals all, they are also my friends. I'm prompted to write this piece after consulting with David about yet another business question. Despite the fact that I used to be an accountant, my head just doesn't think in business mode any more (if it ever really did in the first place). I do think about opportunities, possibilities; I contact folks I believe could use the book or might help others find the book. I want to meet and speak with as many folks working in CSA prevention and resolution as I can. But I don't always see that through a business lens. David does. And he usually reminds me so. What is fascinating to me, though, is how that reminding, coaching, teaching, has changed over the last months. In the beginning, David could be tougher on me (and I don't judge him for that, it was his way of making sure I understood and would get the job done); now, though he has his standards, his approach has softened. A few months ago, as we sat at lunch, David asked me a simple question, something as a business owner I should have known but did not. I was mortified at not knowing the answer and said so. I knew that not knowing something so basic about my own operation was not a good thing. We sat in silence for a bit until I looked over at him and reiterated that I was "mortified" at not knowing the answer. I just don't think like that anymore, I had said, feeling bad, having trouble even looking him straight in the eye. He was quiet for a moment and then, softly, thoughtfully, explained that, maybe, if I did still think that way, I never would have written the book. I looked over at him. He got it. He got me. And I got a sensitive, supportive remark from this veteran businessman that allowed me self-acceptance. It was the remark of a friend. Sometimes, in response to a question I'll pose, David will write or call and begin the conversation with "Ah, grasshopper!" his nod to the old TV series, "Kung Fu" and the wise David Carradine character addressing his underling. He'll often remind me, when I become anxious or flustered about the business piece of the book, that I'm just a "podunk author from a no-name town!" Instantly, I'm more at ease, things seem more in perspective and I can move ahead less intimidated. We laugh, I listen, sometimes we disagree; I solicit his advice and respect it and he'll still, thank goodness, call and strongly make his points about what he believes I need to do to keep my book out there and strong, growing No Secrets No Shame, hopefully helping others. But the most important lesson I've learned is that, in the end, when all is said and done, I must do my business, and my life, my way. Weighing great professional advice gets balanced with increasing reliance on the self-respect that's been so long in the making and that can still be a struggle. Such confidence and self-respect might never have come my way without the support of my great friends along this twisting, turning healing road. And I am so grateful. Did you know that when children disclose abuse, many of them tell a teacher or coach? Would you know how to respond if a child disclosed to you? Would you know who to call for help? If you are a teacher, you are invited to our next Darkness To Light Stewards Of Children workshop free of charge. Join us on Sunday, August 23rd, 9:30 AM til noon, at ATC in Stoughton for this award-winning program where you will learn how to prevent, recognize and react responsibly to child sexual abuse (CSA). Stewards was named the McGruff Crime Prevention Program of the Year by the National Crime Prevention Council in September of 2007 and is a powerful, motivating 2 and 1/2 hours of information and discussion, primary prevention education on CSA. No matter what you do for a living, if you care for children and want them to grow up healthy and whole, this workshop is for you. Every participant will receive a certificate of completion at workshop's end. A light breakfast will be served. 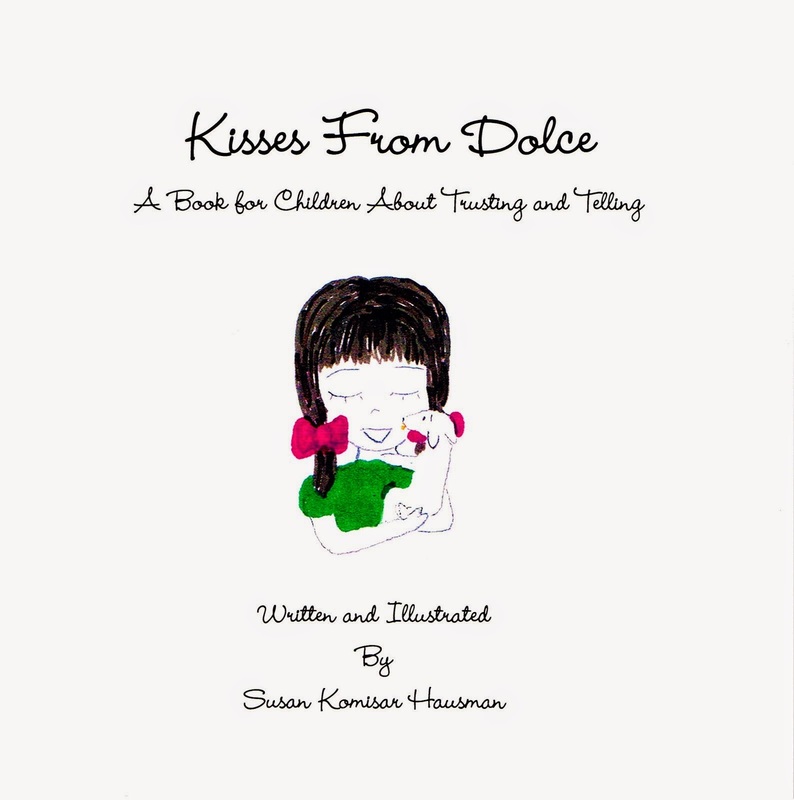 A % of the sale of each "Kisses From Dolce: A Book for Children About Trusting & Telling" is donated directly to the ATC Sisterhood D2L Workshop Fund. Contact me at KissesFromDolce@gmail.com if you would like to attend or to get more information. 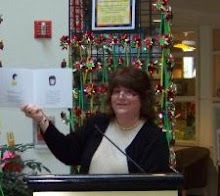 You can visit Darkness To Light online at www.D2L.org and ATC Sisterhood at www.atorah.org/d2l.htm.